We take our wrists for granted, and its not until we hurt them that we realize just how essential they are in our day-to-day lives. Whether its cooking, typing, driving or writing, we really can’t do much without them. so if you’ve recently had a wrist injury, you want to get the best brace you can in order to help it recover quickly. There’s a huge amount of wrist braces available right now, and with so many of them looking almost identical, it can be hard to choose the right one for you and your family. Therefore, we’ve put together this handy review to share with you the best wrist support braces we’ve come across. Breathable – Your going to be wearing the wrist wrap for a few hours everyday, so you want to make sure that you are wearing one made of a nice breathable materials. The last thing you want while recovering from your wrist injury is to wear a brace that makes you feel hot, sticky and uncomfortable underneath. Easy to put on and take off – We might be overstating the obvious here, but sometimes putting one of these on with only one wrist can be a bit challenging, especially with an injury, so you want to look for a wrist brace that you easily get on and off. Also, its easy to put them on a bit too tight, so you should get one that can be easily adjusted too. Firm – The main purpose of wearing a wrist splint is to give you extra support and also to hold your wrist in the proper position to help it heal. Therefore, you want to get one that is firm enough to do this for you. However, there’s a lot of different kinds of support, with some being light wraps and other almost looking like medieval armour. Find one that is firm enough for you. Comfortable – The last thing you want is a itchy wrist slint that’s going to drive you mad all day, Look for one made with smooth and anti-irritable materials. If you are looking for something low key and discreet, then these gel supports might be just right for you. Made of soft rubber, these gel supports are comfortable, breathable and stretching, and they provide just the right amount of compression to make your wrists comfortable. Best of all, these are very discreet – some people might not even know you are wearing them. This is a good choice if you don’t want everyone in the office to know you hurt yourself playing Minecraft for 32 hours over the weekend. 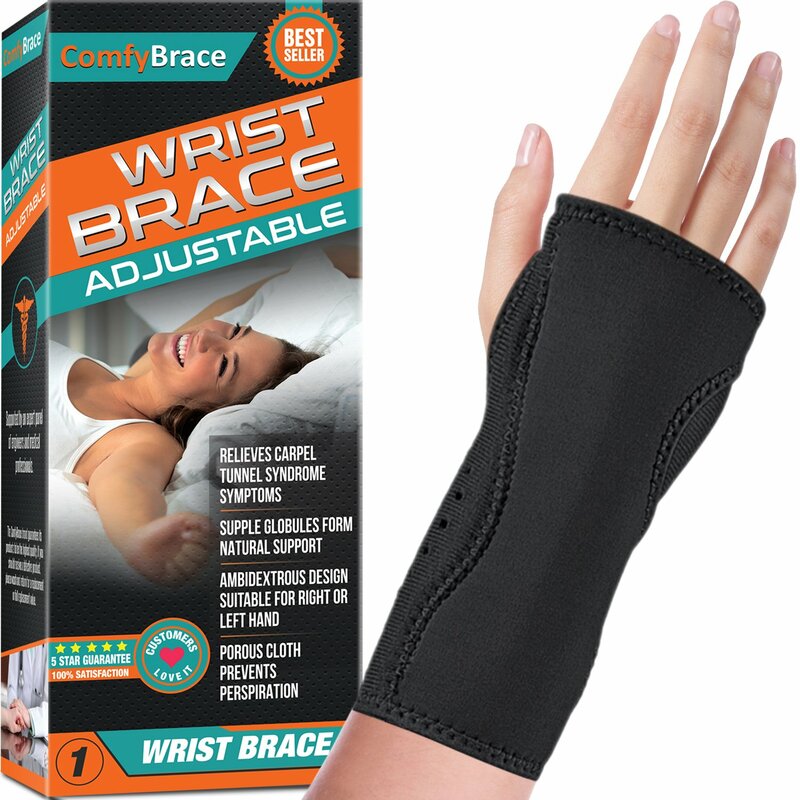 For those who suffer from Carpal Tunnel, this wonderful wrist splint is specially designed to help your condition by ensuring that your wrist stays in the right position while you sleep. It is made with comfortable beaded padding that creates a smooth, massage like feel on your skin, which helps promote blood circulation and healthy muscle tissue. Better still, it is very easy to adjust, so you can always tighten or loosen it effortlessly. 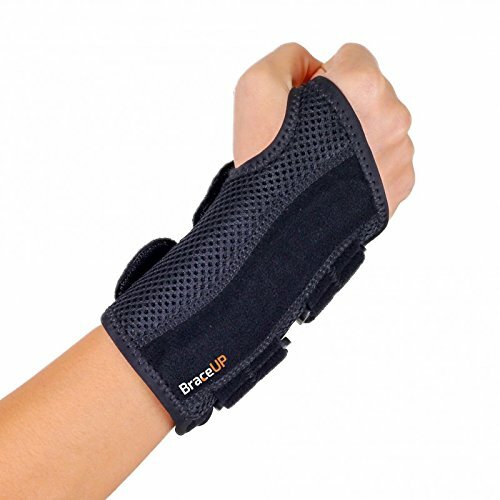 Whether you’ve just had wrist surgery or you’re jut looking for something to take a little strain off while you are gardening, this versatile wrist splint will help relieve pain and swelling while still giving a full range of movement to the wrist and thum. It’s got adjustable straps to help you get the right fit, and the materials are very comfortable and breathable. If you’re looking for a light and easy support, this compression strap will be brilliant to give you that extra support you need in the gym or on the office. 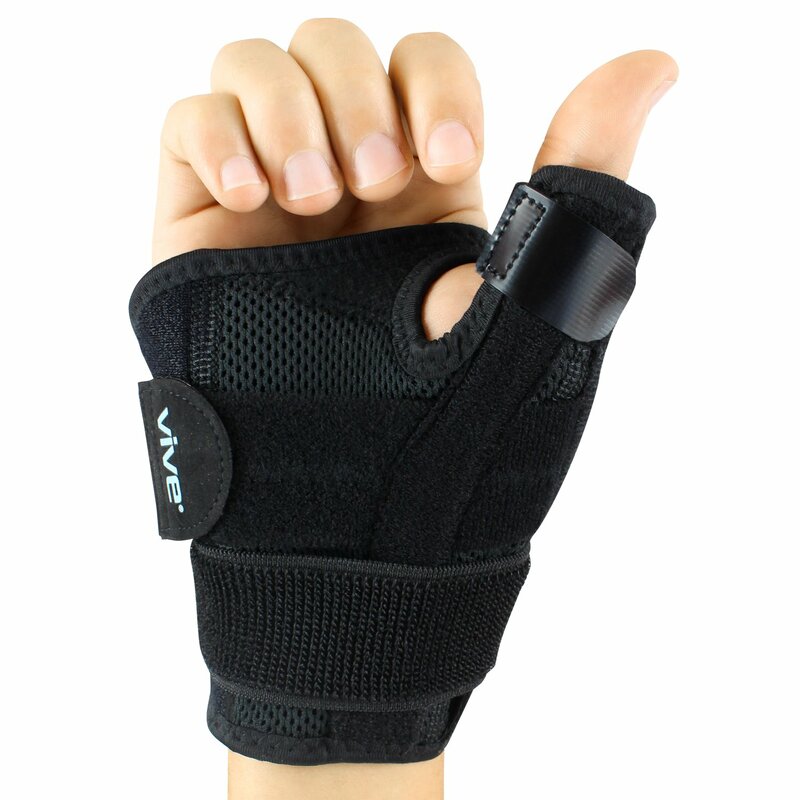 This one doesn’t wrap round the thumb or restrict the wrist, so its best for use when doing sports. What we love about this one is that it made with Antimicrobial fabric that reduces the bacteria that causes odors, so you won’t have to worry about this one stinking the place out. This chunky wrist brace is very firm and sturdy, and will make sure that your wrist and thumb and held fast in place. As such, this will be very good for people with severe sports injuries or those who have just had some kind of wrist surgery. This will protect your wrist from bending or straining in the wrong direction, and ensure that you have a good recovery. This ergonomic hand splint will give your injured wrist the best support and protection for those vulnerable hours when you are asleep. It is fully adjustable, so you can get it nice and snug but not too tight, and it can fit either left or right hands. For those with carpel tunnel syndrome, arthritis and tendon problems or for those support after an operation or cast removal, this will help you sleep at ease. This lightweight brace holds the thumb in its natural position and supports the hand and wrist while doing so, making it great for arthritis, carpal tunnel and trigger thumb problems. It also has removable splints so you can adjust the firmness of the splint. The adjustable compression will also apply therapeutic heat to the area, which will help with circulation and healing. It also allows for full range of movement from the other fingers, so it won’t stop you working or playing while you wear it. This brace can be worn on either hand, and its comfortable neoprene materials are light and breathable, keeping your hand cool and dry while you wear it. 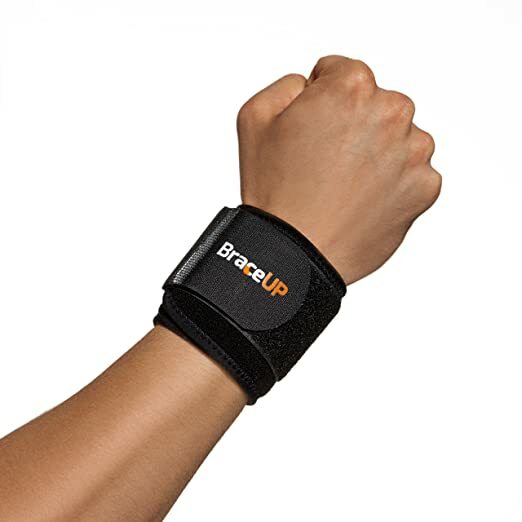 This BraceUP Wrist Brace will keep your injured wrists straight and protected with its two splints on the palm and back of the hand. There is an inner layer is of antimicrobial fabric to reduce the growth of odor-causing bacteria and stop your wrist from getting stinky too. Extra padding on the palm splint will offer you extra comfort, and its breathable materials release excess heat and moisture to keep hand dry and comfortable when wearing. 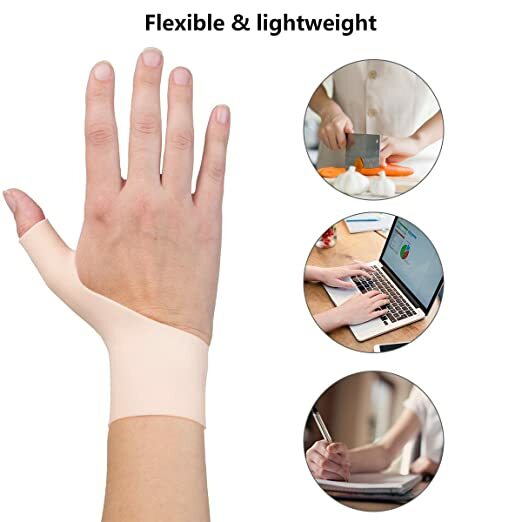 This wrist support is designed to help you get a good nights sleep by alleviating the pain and tingling causes by bad strains and carpal tunnel. It will give you moderate stabilizing support, so its not too heavy duty, but unlike bigger and bulkier supports, this one won’t get in the way of sleeping and won’t catch on sheets and pillows to disturb your rest. This product is adjustable, so it can fit a number of different sizes, and it is made with moisture wicking and antimicrobial components to limit sweat and odor. All and all, if you need to ear a brace while sleeping, this might be the one for you. At the end of the day, the type of wrist condition you have is going to affect which product you choose, so your top pick might be a little different from ours. 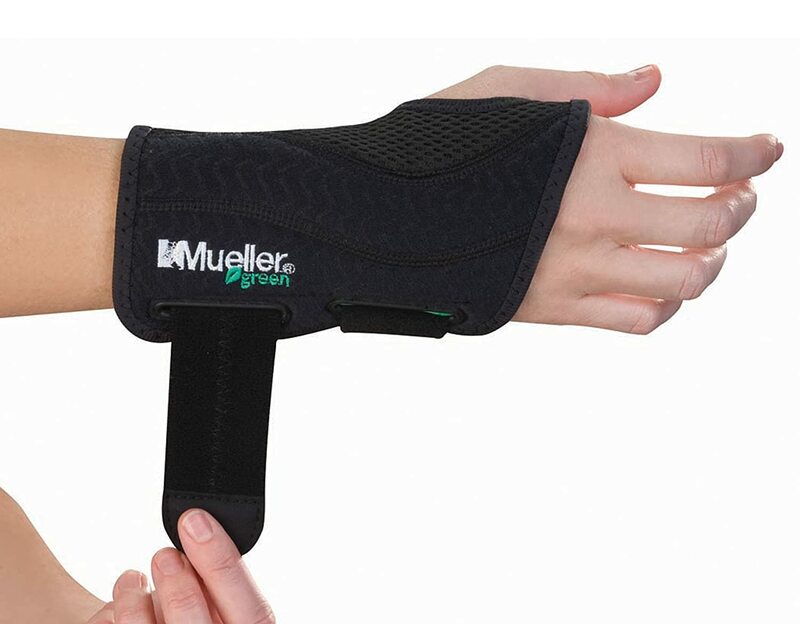 However, after lots of research, the best all round wrist support we found was the Mueller brace. 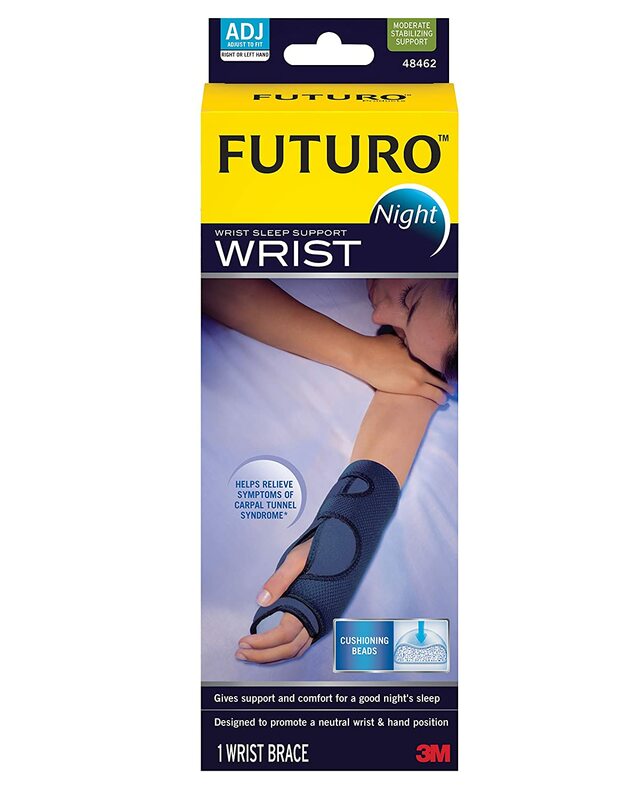 This provides the best all round care for a number of different problems, giving compression and pain relief for strains and bruises, and also holding the wrist in the right places to help it heal. It is a good support that can help you bounce back after an injury, or just give you a bit of extra support if you’re wrist is feeling a bit weak on the tennis court. We also really liked this one because the material is very comfortable, and its breathable materials make wearing it feel nice and natural. If you don;t have a lot of money to spend on a wrist brace, or maybe your wrist pain is negligible and you don’t want to waste money on a very expensive product, we recommend the gel support strap for you. Like we noted above, this is very lightweight, so it won’t give you the full on support and protection of other, heavy duty braces. That said it is much lighter and more discreet, and many people won’t even notice that you are wearing it, so it is good for minor injury or just for those activities, like gardening, when you might need a bit more support. 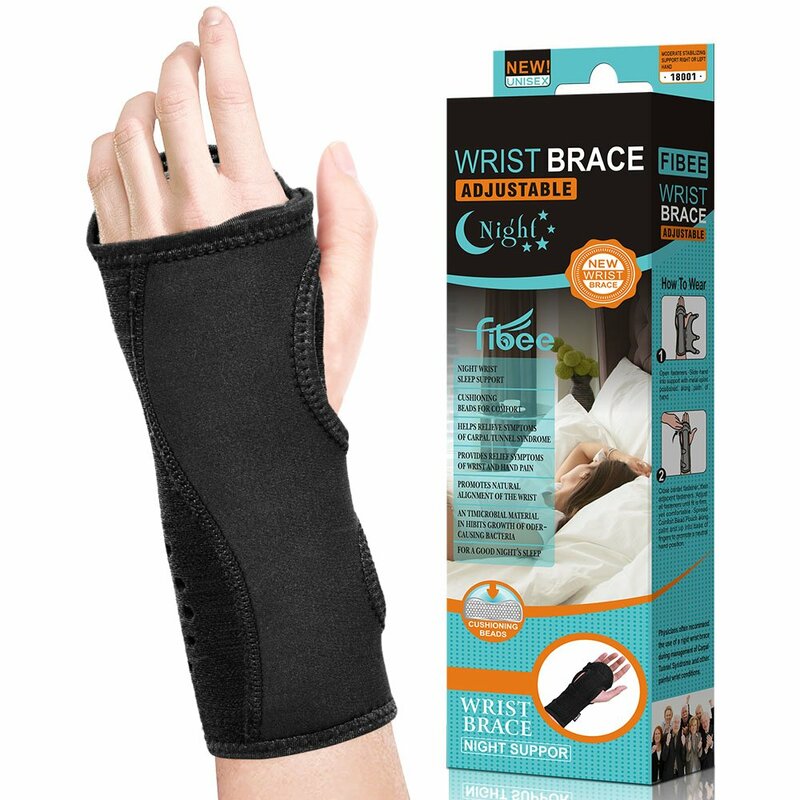 Mild support braces – These are quite light, sometimes just compression wraps or simply braces that go around the wrist and thumb. They are good for people who just have a little bit of tension in the wrist, perhaps from typing to much or playing video games for too long. Carpal Tunnel Wrist Splint – These splints are specially designed to help those who suffer from carpal tunnel and similar conditions. They are usually quite bulky and work be immobilizing the wrist and thumb to allow the healing to occur. Sport Wrist Brace – These are specially designed for those recovering from sports injuries. Like the carpal tunnel splints, that have be quite bulky, and often go from the wrist down to almost the elbow. They are very good for keeping your wrists solid and stable, but make things like writing and driving difficult. Many people wear a wrist brace to help with carpal tunnel. This is a condition where too much pressure on the wrist affects and damages the nerves there. Some of the symptoms are tingling, numbness, pain in the wrists and fingers, weakness of the thumb and difficulty gripping things. These symptoms can come and go, and are usually worse at night. It can be caused by a variety of things, such as playing a musical instrument, working with heavy vibrating tools like drills, and even playing too much video games. Sometimes carpal tunnel occurs during pregnancy and then clears up after the baby is born. While surgery is sometimes needed in sever cases, the goon news is that most patients can keep the symptoms under control by wearing a wrist brace and cutting back on the activity that is causing it. If you have this syndrome, you can wear the wrist brace at night to help straighten out your wrist. There are also some exercises that can help. Strengthen your grip – With any type of grip strengthening devices, such as a soft ball, stress ball or even hand putty, you can practice squeezing and slowly building back your grip strength. Try squeezing, holding for 5 seconds and then releasing for a few sets of 10. Wrist flexes – Sit down with your arm resting on a desk or the chair arm, your wrist just off the surface hanging down and your palm facing down. hold a small and light dumbbell in your hand, and flex your wrist upwards as high as you can while keeping your forearm on the surface, flat and straight. Do 10 reps of this, then try it but with your palm facing upwards. Forearm Stretch – While sitting upright in a chair, Make sure that your spine and back are straight and your shoulders are balanced over your hips in a neutral position. Then, extend your arms directly out in front while keeping your palms facing down. Lastly, turn your fingers toward the walls on either side of you until you feel a gentle stretch along the inside of your forearms. Hold 5 to 10 seconds. Wrist Extensions – This one you can do standing or sitting. Start by extending one arm in front of your body at shoulder level with your fingers pointing upward. Then, grasp your fingertips with the other hand and gently pull them toward your body until you feel a stretch under your wrist. Hold 20 to 30 seconds, then switch sides.